We offer Cellular Regeneration Liftmassage by LPG Endermologie in our London clinic as an effective treatment that can restore the youth and beauty of your skin. 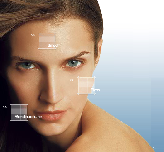 LPG Systems is the creator of the most effective anti-age face care technology and presents non-invasive, utterly safe LPG techniques for restoring and maintaining the youth of your face, such as Endermolift, Liftmassage. LPG technology was created and patented in 2000. LPG Systems has released new, improved work protocols, and the procedure was named Lifmassage LPG in 2006. The beginning of 2010 was marked by the appearance of a new generation of Endermologie treatments on the market, called the Endermolift LPG. Cellular Regeneration Liftmassage by LPG Endermologie in London and in many cities around the world has become one of the most sought-after and popular treatments in beauty salons. Physically active work of skin cells is necessary to maintain elasticity and healthy complexion. Fibroblasts, the so-called "cells of youth", reduce the production of elastin and collagen fibres at the age of 25 years. Stress, lack of sleep, polluted air greatly reinforce this trend. Signs of premature ageing appear when the skin loses its “density”. Therefore, wrinkles appear on the face, the facial contour shifts down, the quality of the skin deteriorates, the complexion becomes dull and grey. Cellular Regeneration Liftmassage by LPG Endermologie in London is a radical transformation with a 100% safety guarantee. Various methods of cosmetology, such as injections of botulinum toxin and fillers, surgical tightening, electrical stimulation and others, make signs of ageing of facial tissues invisible. LPG massage is a technology that focuses on the cause of age-related changes instead of consequences, releasing hidden reserves of tissue, evoking “cellular memory” for the natural restoration of youthful skin. LPG facial massage uses mechanotransduction to stimulate fibroblasts and restore the “density” of the delicate tissues of the face, neck and decollete. Due to this effect, the active production of collagen and elastin by the skin is resumed after a course of LPG massage, which gives a long-term rejuvenation effect. LPG massage is the most effective anti-age technology for face care, thanks to which the skin becomes elastic and young, wrinkles are smoothed, the face shines with natural beauty! 48% reduction in unwanted body fat. Liftmassage's unique technique and methodology combines the practitioner's anatomic expertise with LPG's exclusive Lift technology to produce a remarkably effective treatment individually tailored to your needs. Over time, regardless of gender or skin type, the thin tissues of the face, neck and décolleté will deteriorate. Despite having a balanced diet and a conscientious use of sun block, your skin will begin to droop and your lines and wrinkles will deepen into furrows. To reverse these visible signs of ageing, Liftmassage applies a concentrated effort on the superficial tissue layers, were the fibroblasts are. Fibroblasts are responsible for the collagen and elastin production that gives skin its firmness and elasticity. By stimulating the core of this cell, Lipomassage produces younger looking and denser skin. In just a few sessions, Liftmassage can repair the visible effects of ageing- lines, wrinkles, loose skin – rejuvenating your face and décolleté for a youthful, radiant appearance. Based on Facial Endermologie, Liftmassage has continued to evolve since its creation over 10 years ago. The improvement of LPG’s technique can be attributed, in part, to the machine’s technological advancements, but also to extensive protocol innovations. Such advancements and discoveries are a direct result of the extensive clinical research being conducted throughout the world. Several studies testify to Liftmassage’s effectiveness on skin aging. Among them, the Revuz study (Dermatology, Mondor hospital, Créteil, France) proves that the mechanical stimulation of LPG’s Lift treatment head actually modifies the extra-cellular matrix of fibroblasts. As a result, the delicate tissue in the face, neck and décolleté tissue is restructured, tightened and toned. Professional treatments can be performed exclusively by a beauty specialist, highly trained on Liftmassage and equipped with LPG's Liftmassage machines (Cellu M6 Keymodule. Lift M6 and Lift 6). Although pleasurable and relaxing, Liftmassage is extremely effective. Reconstructing tissues on a cellular level, Liftmassage optimizes the production of elastin and collagen to replenish lines and wrinkles, treat baggy and puffy eyes, restore skin firmness, erase a double chin, and produce a long-lasting, glowing complexion. WHAT DOES A LIFTMASSAGE TREATMENT FEEL LIKE? WHAT ARE THE DIFFERENCES BETWEEN THE LIFTMASSAGE INJECTIONS, FACE LIFTING AND ELECTROSTIMULATION? Liftmassage is a powerful, non-invasive technique. II naturally enhances the youthful potential of skin - without artifice, scalpel or risky and toxic additives The real ingredients for a beautiful, youthful appearance are 100% natural because they are in you Lift technology stimulates your issues in the precise way they need to be stimulated, as a result, your skin is redensified and smooth, glowing and youthful appearance is restored-without a loss of natural expression or altered features. DOES LIFTMASSAGE WORK ON MEN TOO?